Shariah Destroys women’s lives through honor killings. Noor Al-Maleki was a 20-yr. old student at the Dysart High School in El Mirage, Arizona, described as “an all-American teen-age girl”, who played tennis and worked on the yearbook. She loved school and wanted to be a teacher. She and her family had fled Saddam Hussein’s Iraq in 1993, when Noor was just 4 yrs. old. She grew up in a Phoenix subdivision called Paradise Views, the oldest of seven children, for whom she was expected to cook and clean. Noor’s parents were conservative Muslims and she would be beaten for not meeting their expectations. Spending time with male friends even if only at the local shopping mall, was something that sent her father, Faleh al-Maliki, into a rage when he happened to see a photo of them on the Internet. He didn’t like the makeup or tight jeans she wore, either, and felt shamed when Noor refused to marry the man he’d chosen for her back in Iraq. Refusing to be controlled, Noor eventually moved out of her parents’ home and in with some Iraqi family friends. There she fell in love with Marwan, the family’s young son. On October 20, 2009, Faleh spotted his daughter at the Peoria, AZ Department of Economic Security, where she was helping a friend (her boyfriend’s mother) fill out some paperwork to receive food stamps. He left first and the two women walked out a short time later, headed for a Mexican restaurant across the parking lot. 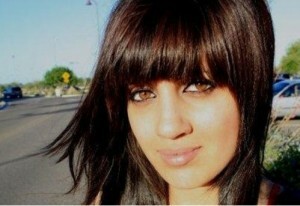 Too late, Noor’s friend spotted Faleh’s grey SUV Grand Cherokee Jeep bearing down on them at a high rate of speed. Faleh drove the vehicle straight into the two women and then deliberately swerved and ran over his daughter, who died four months later of massive injuries without ever having regained consciousness. He fled the scene of the crime, but was tracked down and brought to trial in February 2010, where he was convicted of second-degree murder in the killing of his daughter and aggravated assault in the severe injuring of her friend, in addition to leaving the scene of a crime.